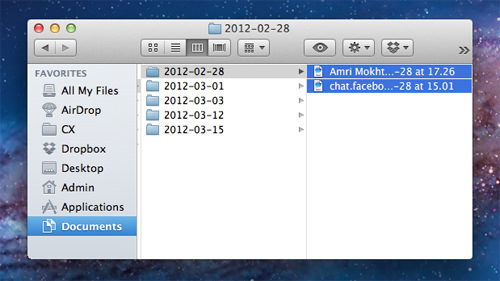 If you have already tested the new Messages for Mountain Lion, then you would probably notice that there is no option to delete your chat history from the chat window. Yes, you may be able to perform ‘Clear Transcript’, but when the Messages are reopened, the transcript will reappear like it was never deleted in the first place. This is most probably a bug (since Messages is still in its Beta phase) that will definitely be fixed eventually, but until then, there is a surefire way to clear your chat transcript from your Mac. 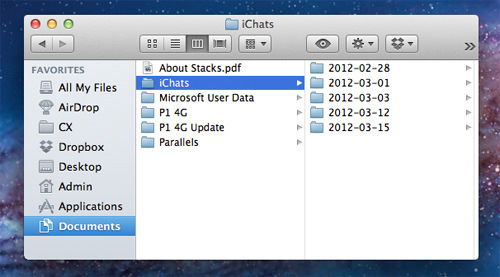 This quick guide will show you simple steps you can take to clear your Messages chat transcript from Mac by deleting the chat transcript file from the iChats folder. To delete your Message chat transcript, open your Finder window and click on ‘Documents’. 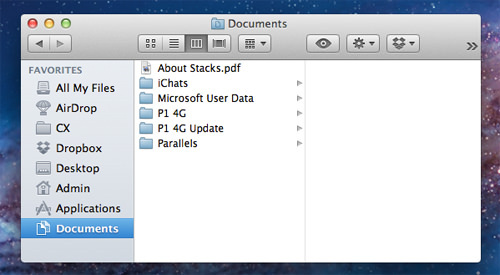 In your Documents folder, you will notice that there is a folder called ‘iChats’, click on it and you will see a number of subfolders labeled with dates. This is where your chat transcripts are kept. Open the folder to check your transcript, and delete the files there to totally remove your chat history. To complete the process, empty your recycle bin to permanently remove the chat history. We have tried several ways to clear chat transcripts via the ‘Clear Transcript’ command as well as going through the ‘hidden folder’ options, but in the end it is the deletion of these iChat files that does the best job in clearing your chat history in Messages Beta.